Local Radio Volume 14, The Scottish Music Shop - The Best Selection of Scottish CDs and Scottish DVDs. 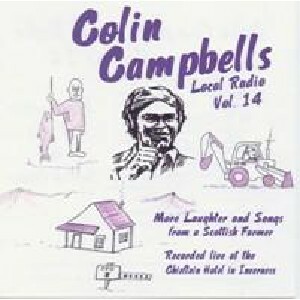 Rural life in the Highlands and Islands seen through the eyes of farmer and comedian Colin Campbell. Songs and sketches on a range of topics, and in a variety of accents that will have you rolling in the isles!